How I Gained It: I came out a big baby. From day one, “plump” and “chubby” were common names for me. I was an active child, running and playing with my friends, and I thought that I ate the same as my family. Looking back, I now see that wasn’t the case; I ate the same foods, just a lot more. By elementary school, I was already developing. The bullying started then and didn’t stop. As the pain grew heavier, food became more comforting. There were times during high school that I would try to lose weight, but it always came back. By the end of high school, I was already over 300 pounds. I excelled in school and loved singing. These activities were my way of escaping, the times where the pain was gone, and I could just be happy. I carried on this way into my early 20s. At 24, I was sexually assaulted by a friend’s friend. The little bit of spirit and fight that was in me suddenly was nowhere to be found. I turned to my best friend — food — for comfort. When I was sad, I ate. When I was afraid or angry, I ate. I eventually could no longer deal with the pain and started eating to die. I was begging to be taken. I didn’t understand how my life had any purpose if all I was to people was a punching bag. Breaking Point: I will never forget the day when I cut my leg and, instead of blood, clear liquid came out. I had such severe edema, apnea and high blood pressure that I knew my time was short. Then a few simple words changed everything. Simple kindness reminded me that I was loved and important. It suddenly made me see that giving up was not an option. 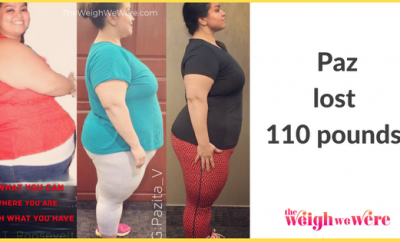 I knew that it was an uphill battle because at this point I was 31 and weighed over 500 pounds, but I was ready to do whatever it took to survive. I decided I was going to save my life. How I Lost It: A big turning point for me was letting go of the past. I had to forgive the people who hurt me, let go of the pain and sadness I felt and make my life priority number one. I started a diet program which consisted of eating 750 calories a day of specific fruits, vegetables and proteins. I was monitored closely by my doctor to make sure I was okay. I became very dedicated to journaling my food intake and really paid attention to the quality of the food I was eating. I gave up soda, fried foods, ice cream, chips — all those wonderful foods that we think make us feel so good. It was so hard. I often found myself crying, almost mourning the loss of my old friend. Eventually I started adding exercise into my routine. When I first started, I could walk maybe 10 minutes a day. As I continued to push harder, that increased more and more. I took up tennis, started yoga and eventually tried jogging. Today I work out with a personal trainer who has been an amazing supporter and wonderful friend. He and I have been working together for over a year now, and he has forever changed my life. I resistance train three days a week and have such amazing balance and strength. I am also training to participate in my gym’s indoor triathlon this month. I still have more to my journey and also have some excess skin from the weight loss to deal with, but I can’t express how lucky I feel to wake up each day and know that I am alive! Three years ago I was thinking about how my family would no longer be burdened by me once I died, and now I’m going to do an indoor triathlon in less than a month! I have an amazing support system of friends and family who have made my success possible, cheering me on every step of the way. I don’t know many people who get a second chance, and it is my wish to be able to take this wonderful opportunity to reach out and help people realize that it’s never too late to make a change. Yes, it’s hard. This will be a life-long journey for me, but I gave up all those foods I loved for all those years so that I could finally live. Stay strong. You are one of a kind! Love reading about eople who overcome painful past! Wow !!!! Awesome job !!!! You look great !!! It’s a blessing that you overcame the bullying and inner demons !!!! Freaking beautiful and awesome! You showed all the “haters”. Like no words to describe. What an inspiration!! Amazing story….. Congratulations and I wish you all the best in days to come. I hope to survive my battle. What an inspiration you are!! Congrats! 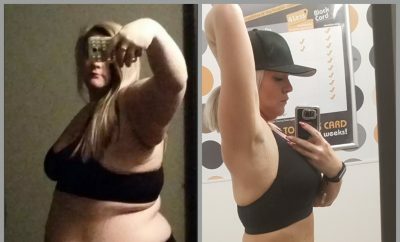 I know it must have been a challange to lose all that weight. You look fabulous! Good for you!!!! That’s amazing !!!!! Marcella Hollinger did you see this amazing! Woooooow way to go simply amazing you should be so proud of yourself you look beautiful!!! 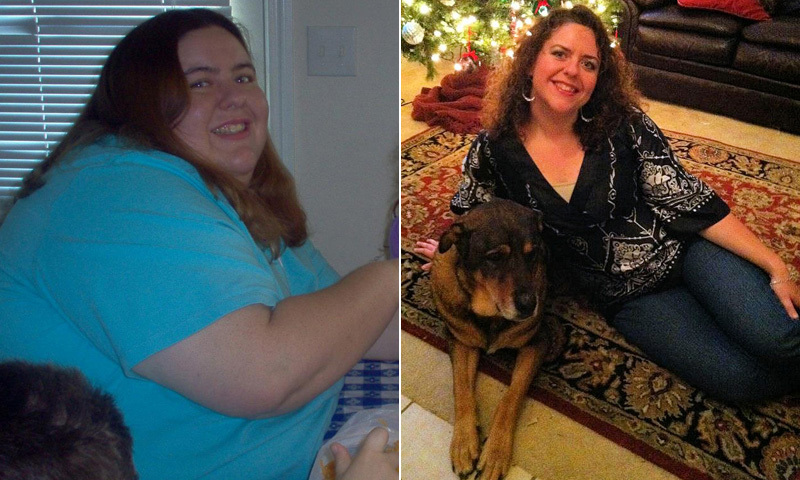 Your beautiful and such an inspiration as I now am on my own personal journey to a healthier and longer life. Wow you are inspiration in action…way to go! A BIG CONGRATULATIONS, you should be VERY proud of yourself! Incredibly inspiring! Laura Kretzmer-Bartow you are much stronger than you think you are. You get up everyday and that takes strength. Just keep walking forward and you will make it! One foot in front of the other and take small steps. Hattie you are my hero! Amazing! Hattie – you my dear are amazing. Simply amazing. Way to go!!! I only wish I knew how to start and have the will power to continue. Cried reading your story!! I wish I had your strength!!! Thanks for Sharing U are truly an inspiration! U Look amazing! Love these stories. Keep them coming! Yes. It’s true. Some of us just plain EAT TOO MUCH! And if you are fat, that is no doubt true of you. As it is of me. Dish yourself up and then scrape half of it off your plate and give it to the dog or whatever. I’m so proud of you Hattie for being a fighter!! Not giving up and wanting to live life again. I can relate to many of your struggles as 2 years ago I was 495# and close to death and now down to 265# which just included the skin removal surgery last month. You’re a great inspiration!!! You go girl, and congrats! God bless you. I can relate so much to the beginning of this story. Now I just need to find my happy ending as well. Congrats on the hard work and dedication. Also congrats on finding your self worth! That is my hardest obstacle. Good luck with your future journey! 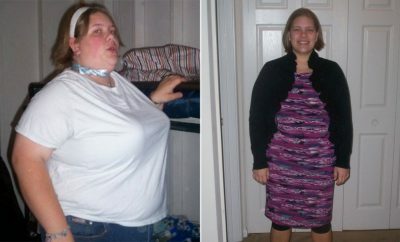 Weight Loss Before and After: Brittany Drops 207 Pounds And Takes Her Life Back!